Following a failed satellite launch last week, Elon Musk’s firm SpaceX might end up having to pay its client $50 million to cover damages or offer it a free flight beyond the stratosphere. 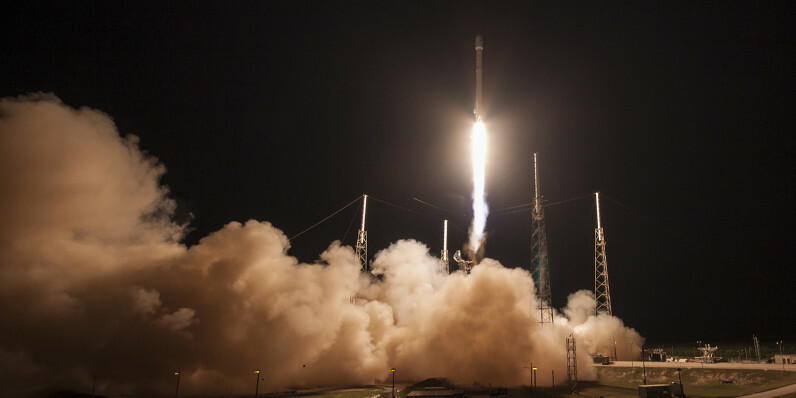 Israel’s Space Communication Ltd. said in a conference call on Sunday it could seek compensation for the botched launch, which caused the destruction of its new Amos-6 communications satellite at SpaceX’s Cape Canaveral Air Force Station launch site in Florida on Thursday. The satellite was leased by Facebook, which planned to use it to beam internet access to rural sub-Saharan Africa. The Israeli firm, also known as Spacecom, had a lot riding on this launch; its merger with Beijing Xinwei Technology Group was contingent upon successfully placing Amos-6 in orbit. A SpaceX representative declined to comment, noting that the company doesn’t disclose contract or insurance terms. It also hasn’t revealed what insurance it had for this mission. The failed launch certainly doesn’t look good for SpaceX; on Friday, it began investigations into the cause of the explosion, noting that an anomaly that took place about eight minutes in advance of a scheduled test firing of its Falcon 9 rocket was to blame for the loss of the vehicle. In May, the company successfully landed a Falcon 9 rocket on a floating barge, which meant that it could begin looking into reusing rockets and saving millions of dollars on subsequent missions and compete with Amazon CEO Jeff Bezos’ space venture, Blue Origin. But with a black spot on its record and what seems like a hefty price to pay in damages to Spacecom, SpaceX will have a hard time rebuilding its reputation.